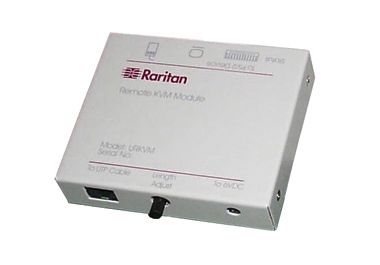 The Raritan Cat5 Reach URKVMG is a Receiver unit with RJ45 jack and PC KVM ports. The Cat5 Reach extender system is made up of this receiver unit and the UKVM transmitter unit (sold separately). NOTE: KVM cables and Cat5 cables are sold separately. Use Enhanced Category 5 UTP (350 Mhz) cable, with RJ-45 connectors. Cable must conform to EIA/TIA T568B Category 5 wiring standard.